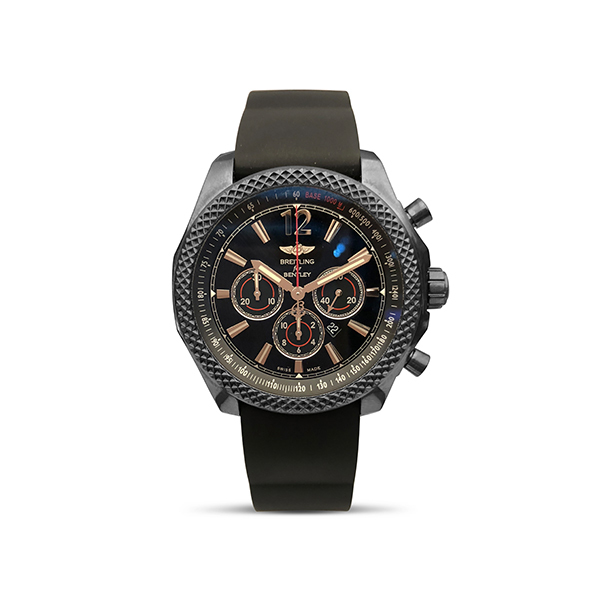 This new Limited Edition Breitling Bentley Barnato features a black midnight carbon dial on a black rubber Breitling strap with a deployment black steel buckle. Model Number: M4139024-BB85. Serial Number: 2423XXX.